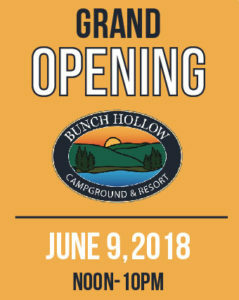 We are pleased to announce our Official Grand Opening of Bunch Hollow Campground & Resort! 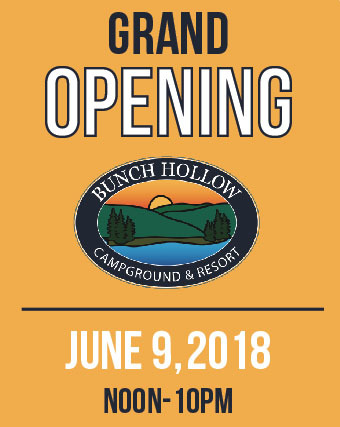 We have been effortless working to create the best long-term RV park in East Tennessee and hope you’ll join us for this great event. Both vendors will be set up all day so be sure to grab some great food. Our grand opening will run until 10:00 pm. Have questions? Give us a call anytime at 865-919-2427. We have been working hard to ensure your stay at BHCR is as enjoyable as possible. To accomplish this, our campground features a pool, laundry mat, bathhouse, playground, and a pavilion. Whatever you are looking for in a secluded destination, we are here to serve you. Check out our full list of amenities here. 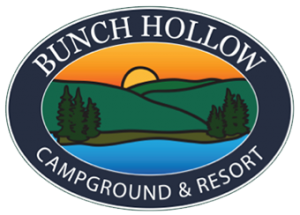 We envision Bunch Hollow Campground & Resort to be a family place where can guests can camp, go boating, lounge around, hike or just simply fish. We want everyone to have a pleasurable experience.